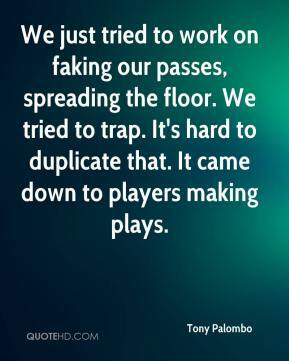 We just tried to work on faking our passes, spreading the floor. We tried to trap. It's hard to duplicate that. It came down to players making plays.